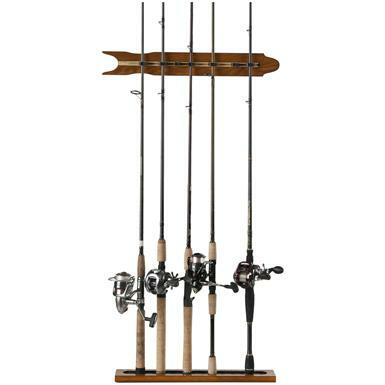 Organized Fishing 8-Rod Modular Wall Rack. Store your equipment up and out of the way. As unique as it is attractive, because with its clever fish design, this Rack could even double as wall art! Holds up to eight rod-and-reel combos. As your collection grows, just buy another Rack to expand your capacity, since these Modular units link together and look great. Easily mounts to most walls. Exclusive Track RackTM system allows for perfect rod alignment and capacity. Rugged rubber diamond plate inlays hold rod butts securely in place. Your choice of oak or black. 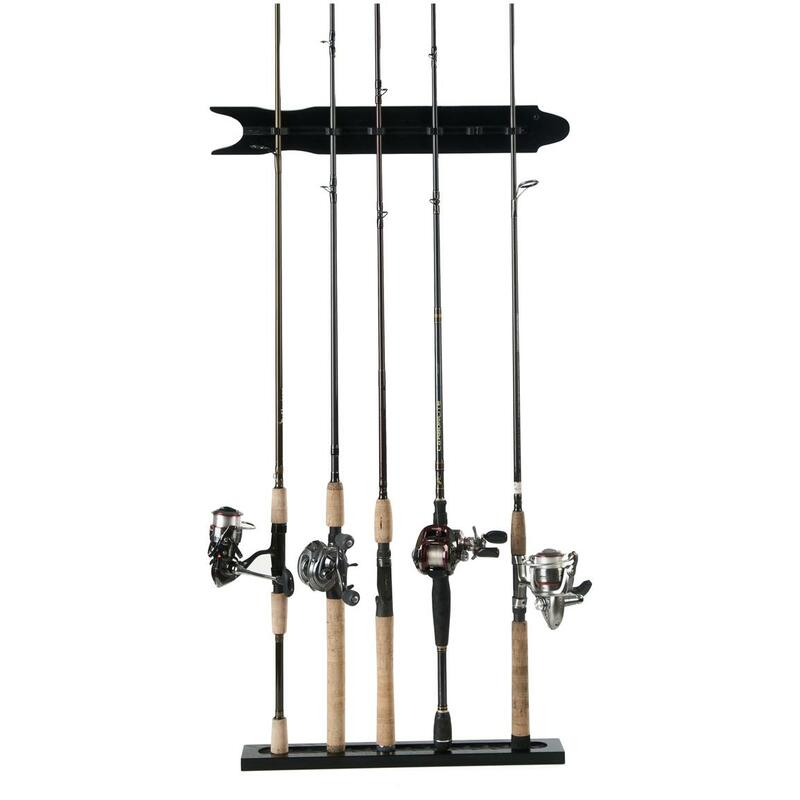 From Organized Fishing®, offering a variety of options for storing and organizing fishing gear. Each approx. 4 1/2 x 20 4/5 x 2 3/4", 2.6 lbs. State Color, as available in the Shopping Cart. Don't cast this off!